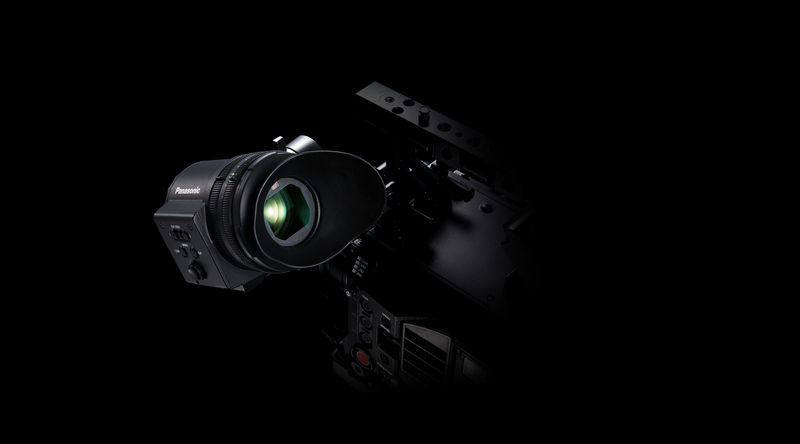 The AU-VCVF2GJ Viewfinder is successor to the current AU-VCVF1G VariCam Viewfinders, which are highly acclaimed in the cinema production industry. The addition of a newly developed 1080p OLED panel has enabled a high-definition (1920x1080) display. This combines with low latency and sharp, accurate colors to meet the high-end needs of the movie industry for uncompromising image creation. A large-diameter 38-mm eyepiece lens and wide field angle with viewfinder magnification of 0.78x, which are popular with current models, achieve comfortable viewing with Panasonic's unique optical zoom lens inside the viewfinder. Versatile exposure assist and focus assist tools are also featured. Panasonic will continue contributing to video production advances by developing equipment and systems that respond to the needs of the cinema production industry, which is expanding on a global scale. The company will also contribute by supporting high-quality image content as well as efficient production operation.